“While we firmly believe that ‘source capture’ is by far the most effective way to keep the air in your salon clean, there are instances where using a room air cleaner can be effective,” says Leonard Roulier III, vice president of Salon Pure Air, which has just introduced the Salon Pure Air III and IV Room Air Cleaners. “A room air cleaning system can be used as a supplemental system to remove any residual fumes and dust that might escape a source capture system. 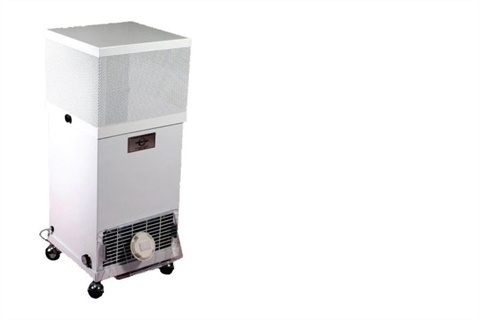 This type of system can also be used in instances where a source capture system is not practical or cost effective such as in salons with several nail technicians.” The Salon Pure Air III is recommended if your primary concern is dust and fume removal, while the Salon Pure Air IV is the better choice if odor is your primary concern. For more information, visit Salon Pure Air.